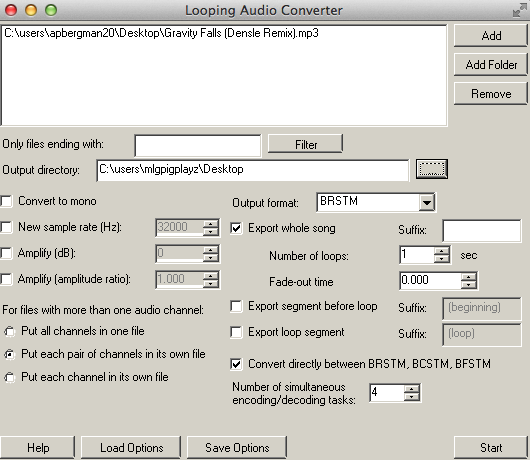 Converting Music is quite simple if your a PC user (sorry MAC users which include me) but here's how to convert music basically in the simplest way possible and how to loop it correctly as well. Make sure you already have a song folder set up for the xml! - then choose output for your destination folder you want the finished product to be executed to. - Then click start and your good to go! 4.5 Here we have a simple documentation of what to name your song so it can execute in the game correctly. Depending on the name of the file will affect which theme it'll be replaceing in game. 1. 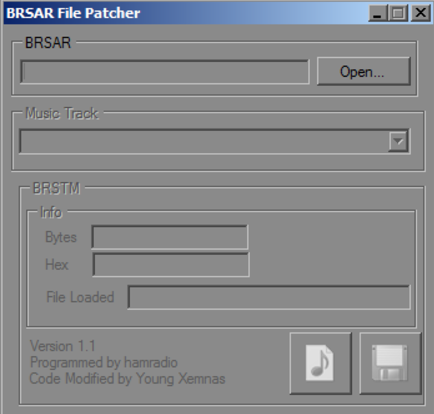 After you rename the file we must do one final step and that's to fix the looping of brsar so simply download the following file: https://dl.smwcentral.net/9578/BRSAR%20File%20Patcher.zip and make sure you have the file wii_mj2d_sound.brsar ready. 2. Now open and load your converted .brstm song file then choose which music track its replacing. For example, if I were replacing the desert level music I would then choose BGM_sabku. Finally compile and save it. 3. Not finally you put the modified .brsar in ths sounds folder but keep it out of the stream folder as that's where the music belongs. And put your .brstm in the stream folder. If one doesn't exist then add the stream folder yourself. I HOPE THIS HELPS YOU MUSIC PEOPLE WITH CONVERTING, if you have questions for editing music and newer, ASK! It isn't much different!